On Feb. 1, Britain's fertility regulator approved the country's first research application to use a new gene editing technique known as Crispr on human embryos. This general research, which aims to do nothing more than provide a deeper understanding of the earliest moments of human life—it is illegal to implant the modified embryos into a woman—has invited debate at all levels concerning whether this move opens the door to "designer babies." To help sort through this debate, we sat down with Timothy Caulfield, Canada Research Chair in Health Law and Policy and professor in the Faculty of Law and the School of Public Health. What are the good intentions behind new gene editing research? 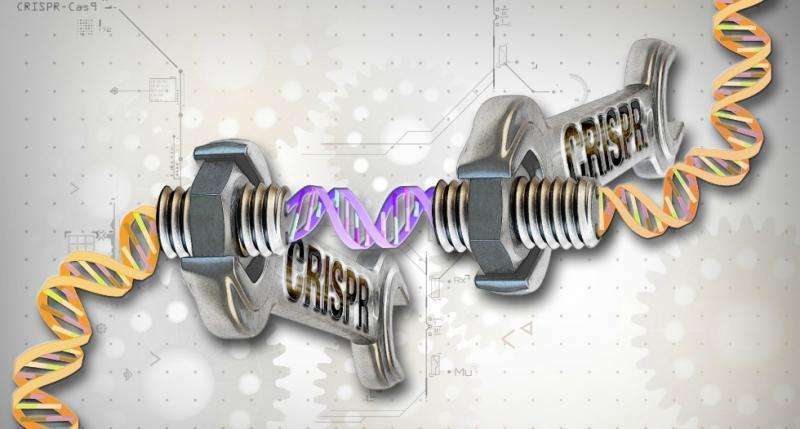 First, it is important to recognize that what is happening here is not a genetic modification of an embryo for the purposes of producing a child—the hope here is to understand how gene editing plays out in a human being and whether one day we're going to be able to use gene editing to cure incurable diseases like Tay-Sachs and perhaps cystic fibrosis through the modification of genes. In addition to that, we might be able to use gene editing as a research tool to simply learn more about these diseases. All of that is exciting from a scientific perspective and it is potentially exciting from a therapeutic and clinical perspective. And what comes out of Pandora's box? Yes, the slippery slope argument always comes into play. For instance, if we allow this kind of basic research that they are doing in the UK, is it going to make the application in the future easier? I find it is always tough to use slippery slope arguments in the context of science because where do we draw the line? Do we say we can't do physics because we fear the creation of the atomic bomb? I think it is better to regulate the specific activity that you're trying to stop than prohibit the overall scientific activity and inhibit the scientific inquiry. Where does Canada come out on gene editing? In Canada, it is currently a criminal offence to produce genetic modifications that are passed on to future generations. If a physician were to perform some somatic cell treatments where you're just treating the person in front of you and that change isn't going to be passed on, that would be legal. I'm not a fan of using criminal prohibitions in this context. For me the debate is very similar to the debate surrounding somatic cell nuclear transfer, cloning technology, or the "Dolly" technology; however, I find gene editing to be a much more nuanced debate than we had in the early days of cloning, which seemed to be completely driven by fear-mongering. I don't think everybody is going to agree that this technology is appropriate or should go forward. But at least it seems like the temperature is a little lower and we are having a quite sophisticated discussion, at various levels, about the benefits and risks of this technology. In Canada we may need to grapple with a change in our law if we think therapeutic applications are appropriate in the future. That may not be the easiest thing to do, as you can imagine. Where is the gene modification conversation currently? Right now, I think there is a relatively broad consensus in the scientific community to not be using this technology for the purpose of creating children, or for modifying the human genome in a manner that will be passed on to future generations. What we are going to need to struggle with in the future is, if this technology proves to be effective and efficient, where do we draw the line and how do we police the scientific community once that line has been drawn? Right now, I think everyone agrees that if this is not safe and effective, it should not be used in the context of reproduction. It will become more challenging in the future if and when it does become safe and effective. Then we are going to have bigger ethical and philosophical questions about how to apply this technology.